Our latest blog series will cover the topic of InLoox best practices. Each blog post gives useful tips for working efficiently with InLoox. By working with snapshots you can always keep an eye on the project progress. For working efficiently with InLoox 9 for Outlook, we have collected several useful tips. Our first InLoox Best Practice explains how to track the project progress and save the current state of your project planning with the snapshot feature. 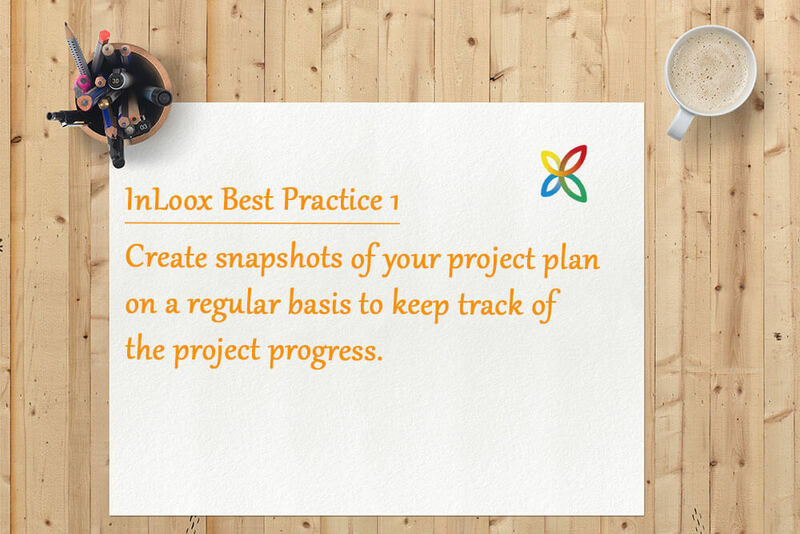 By using this InLoox feature you can always keep an eye on the progress of your projects. From time to time, you may make significant changes to the project plan. In these situations we recommend you to take a snapshot beforehand. Thereby you can document your changes, compare and track progress or delays, and – if needed –easily reverse the changes you have made. 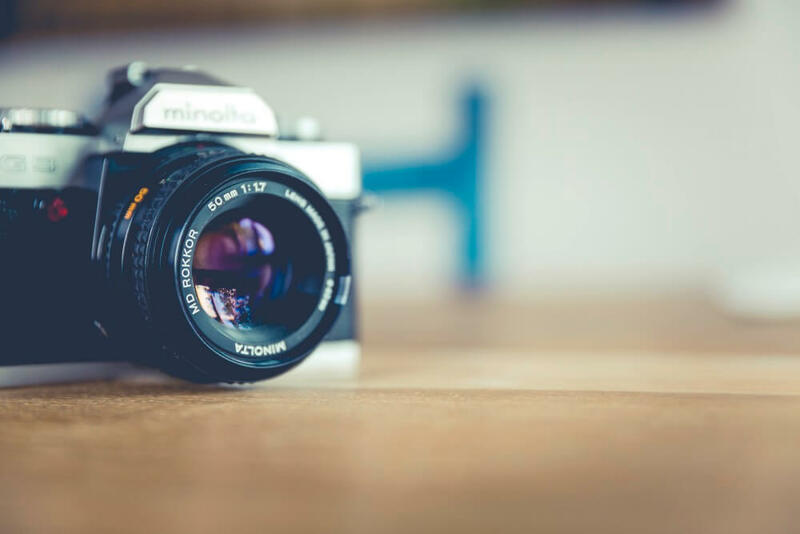 The snapshot feature is especially useful for InLoox beginners or those who are not yet used to the work flow with InLoox. 2. Click on snapshot in the Edit tab. The snapshot bar will open below your planning. 3. Click in the field New snapshot on the right side. Enter a name for the snapshot like “Current state week 2” and click on the camera icon. The snapshot is created. 4. Move the cursor over the snapshot and a new window will open. Overlay: The snapshot is overlaid in the Gantt-chart, but your current planning is not replaced. 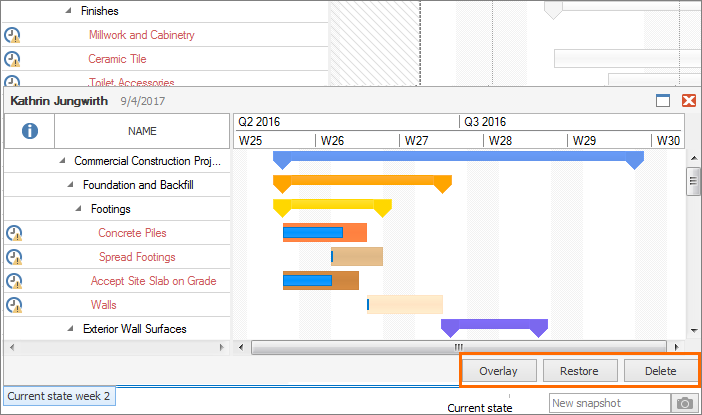 Restore: The planning state of your snapshot is shown in the Gantt-chart and your current planning is replaced with the one of the snapshot. InLoox will ask, if you really want to overwrite your current planning with the state of your snapshot. Delete: The snapshot will be deleted. InLoox will ask, if you really want to delete the snapshot. 5. If you click on a snapshot, it will be inserted into your Gantt-chart. Thereby you can see all changes which have been made since you took the snapshot. Your current planning is not replaced. 6. You can also enlarge the snapshot-window. Move your cursor over the snapshot and click on the full screen icon in the snapshot-window. To close the snapshot-window, click on the close icon . 7. If you want to close the snapshot bar, click on the snapshot icon in the ribbon. InLoox Best Practice (1): How to track the project progress with the snapshot feature - InLoox • Copyright 1999-2019 © InLoox, Inc. All rights reserved.